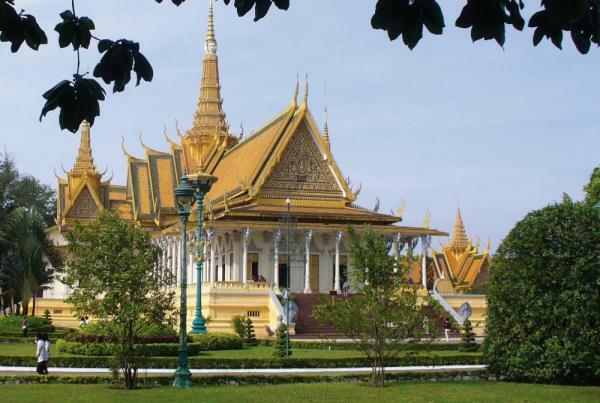 Asia Cruise & Travel - From the Angkor Temples to the Mekong Delta cruise aboard the RV Indochine. From the heights of the Himalayas to the coast of the China Sea, the River Mekong irrigates much more than Indochina. 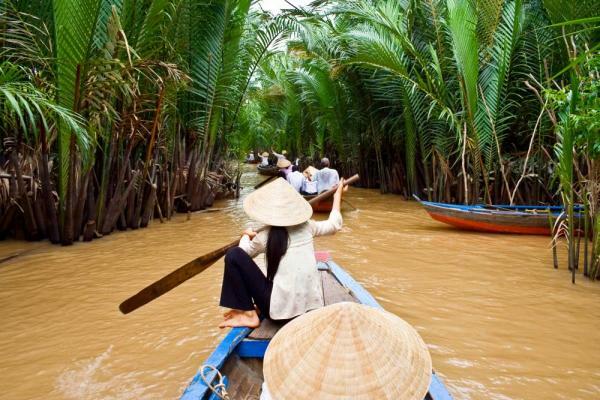 On this 11-day cruise aboard the RV Indochine explore this fascinating river, its people and history. Visit the most famous and most imposing of all the monuments in Angkor, taste palm sugar from the Thnot sugar palm, go around the village of Kampong Chhnang on small local boats, take a “tuk tuk”trip (motorized tricycle), visit a beekeeping farm, and taste honey tea and exotic fruit. Your program will begin according to your time of arrival in Siem Reap. If your flight arrives between 6:00 a.m. and 11:00 a.m., your program will be: Accommodations will be at either a 4-star or 5-star hotel according to the cruise you choose. 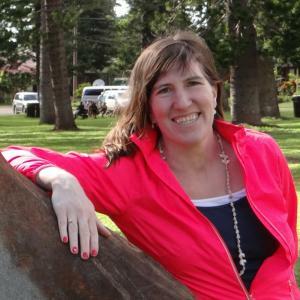 Lunch will be served at the hotel between 11:30 a.m. and 12:30 p.m., and you’ll be able to check into your room at 2 p.m. This afternoon, visit the Senteurs d'Angkor: a diverse collection of silk and carvings, as well as a superb range of traditional beauty products and spices, all made locally. Also visit Artisans Angkor, which states its goal as "the ambitious belief that it is possible to revive ancient Cambodian arts & crafts while improving the lives of thousands of people living in rural areas." Enjoy a stroll through the Angkor Night Market. Have dinner and spend the night at the hotel. Explore Angkor Thom, the monumental temple of Bayon—famous for its towers and 172 faces of Avalokitesvara, and Ta Prohm. After lunch in town, leave for a visit of Banteay Srei. This evening, have dinner in a restaurant in town before ending the day with Phare, the Cambodian circus, and spending the night at the hotel. Visit the Angkor Wat temple: the epitome of Khmer architectural art. It is the largest religious monument in the world and an architectural masterpiece. Lunch will be served at the hotel. In the early afternoon, you’ll be transferred from the hotel to the ship. After comfortably settling into your cabins, be introduced to your crew at a welcome cocktail and have dinner on board. Enjoy breakfast on board, and spend the morning cruising to take advantage of the lake crossing. After lunch on board, arrive in the early afternoon in Kampong Chhnang. Located about 56 miles from Phnom Penh, the town of Kampong Chhnang is one of the largest fishing ports on the Tonlé Sap. There are also many fish farms here. The region is best known for its fine traditional pottery, a major source of revenue for the entire country. The region's very name Kampong Chhnang means “the port of pottery” in Khmer. Have a chance to taste palm sugar from the Thnot sugar palm (a national symbol) before going around the village on small local boats. Return on board and continue your cruise to Kampong Tralach. Enjoy dinner on board. Set out to visit the beautiful Vihara at the Wat Kampong Tralach Leu pagoda. To access the pagoda you need to cross the village of Kampong Tralach in ox carts, moving along a small road that runs perpendicular to the river in the middle of magnificent rice fields. After lunch, arrive in Koh Chen. You can explore this small village where craftspeople specialize in silver and copper work. After returning on board, spend the afternoon cruising towards Phnom Penh, arriving in the early evening. Enjoy a brief tour of the area by "tuk-tuk," the easiest way to get around the city. Return to the ship and enjoy a performance of classical Khmer dancing and music and have dinner. Enjoy a tour of the fabulous Royal Palace, one of the most impressive examples of Cambodian architecture, and its Silver Pagoda. Onward to visit the National Museum. After lunch in town, you can pay a visit to the Tuol Svay Prey School, a former detention, torture, and execution center run by the Khmer Rouge during the civil war. Afterwards, enjoy some free time at the market. Return on board for dinner in the evening and start sailing towards Vietnam. 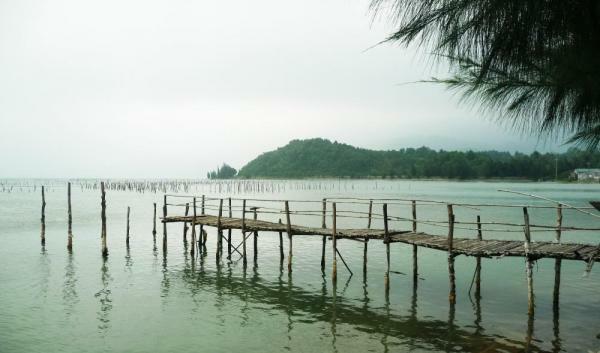 Located on the border between Cambodia and Vietnam, the prosperous city of Chau Doc has developed around fish and fish farming. Pay a visit to the Ba Chua Xu Temple and the Tay An Pagoda. Once you are back on board, you’ll begin to cruise toward Sa Dec. Have dinner and spend the night on board. Once you arrive in Sa Dec, discover the local market and visit the former house of Huynh Thuy Le, the man who Marguerite Duras based her book The Lover on. Have lunch on board and cruise to Vinh Long. 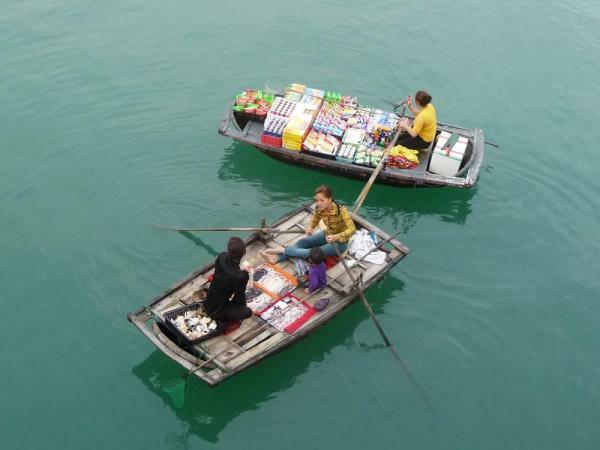 Set out in smaller boats and travel through canals and orchards before arriving in Cai Be. Discover a brick and pottery factory as well as a traditional factory producing puffed riced, rice-paper wrappers used to make nems, and rice alcohol. Return on board your ship and begin to cruise. You’ll have dinner and spend the night on board. Visit a bee farm and enjoy some honey tea and exotic fruit. Then take a ride in small sampans along the canal lined with mangrove palms. Lunch will be served on board. Then set out to cross the very narrow Chao Gao Canal, heading for Ho Chi Minh City. Have dinner and remain in port overnight. Ho Chi Minh City was heavily influenced by French colonialism in the 19th century. 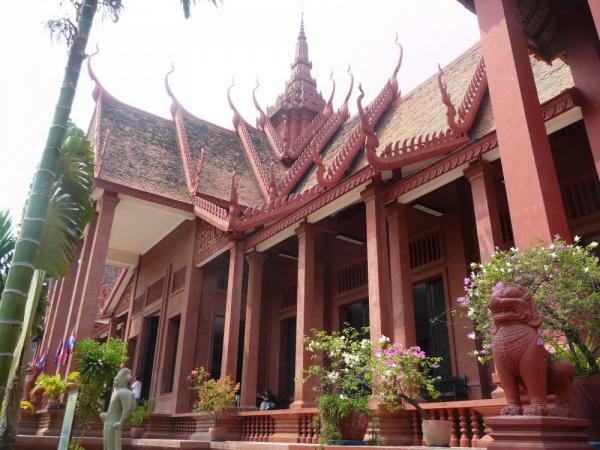 Enjoy a tour of the city to see the Reunification Palace, Notre Dame Cathedral, and the Saigon Central Post Office, and visit the Museum of Vietnamese History. Lunch will be served on board. In the afternoon, leave by coach for the Cu Chi tunnels, an immense network of underground tunnels that were used by Viet Cong soldiers as hiding spots during combat, as well as serving as communication and supply routes, hospitals, food and weapon caches. After your excursion, return on board your ship. Tonight have your farewell cocktail and dinner. Remain in port overnight. After one last breakfast on board, disembark and devote your morning to visiting Cholon, the major center of Chinese trade in the capital city. Please Note: Do not plan your flight before 5:00 pm. The RV Indochine is an exotic ship which sails entirely on Asia's Mekong River. Built in 2008, she is made of local woods and decorated in a colonial style. The RV Indochine is an ideal ship for cruising the waterways of Asia. Natura Resort is a boutique hotel mixing design, comfort and nature. It is located five minutes away from town, close to temples and in the middle of the Angkorian forest. There are three different room types available which include the deluxe room, family duplex suite and superior pool view. 14 outside-facing cabins on the main deck equipped with two low beds that can be moved together; large storage space under the box spring; private bathroom with sink, toilet and shower; air-conditioning; safe; hair dryer; and dresser. 10 outside-facing cabins on the upper deck equipped with two low beds that can be moved together; large storage space under the box spring; private bathroom with sink, toilet and shower; air-conditioning; safe; hair dryer; and dresser. The 4-day post-cruise program will let you discover Hanoi, the capital, and many of the unforgettable sites in the country. Set out on an unforgettable cruise on the legendary Halong Bay among the fantastically formed islands, crags, and cliffs.